Who wouldn’t love that dog?!? 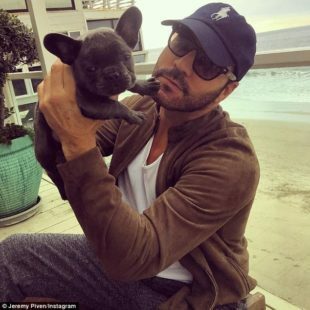 Jeremy Piven…pretty sure that he isn’t vegan, not yet anyway, but he is a dog lover. In this red carpet interview from the School of the Art Institutue’s Gene Siskle Film Center Renaissance Awards, Jeremy talks about what he learned from his parents, Byrne and Joyce Piven, his amourous relationships and his special relationship with his Frenchie!